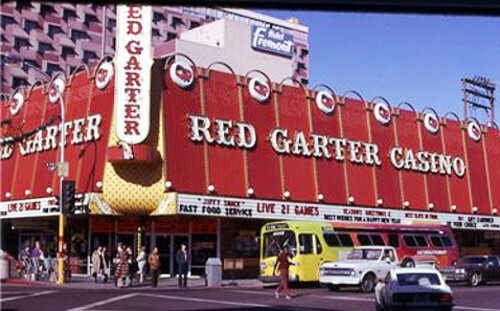 The Fuller Index listing for the Red Garter Casino shows an opening date of May 23, 1972 through February 17, 1975. 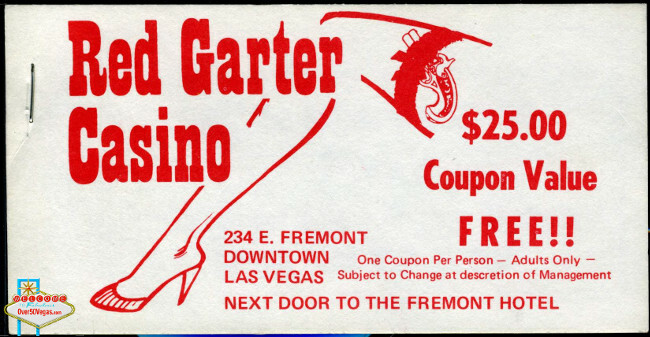 It was licensed for slots, 21, craps, bingo and poker. 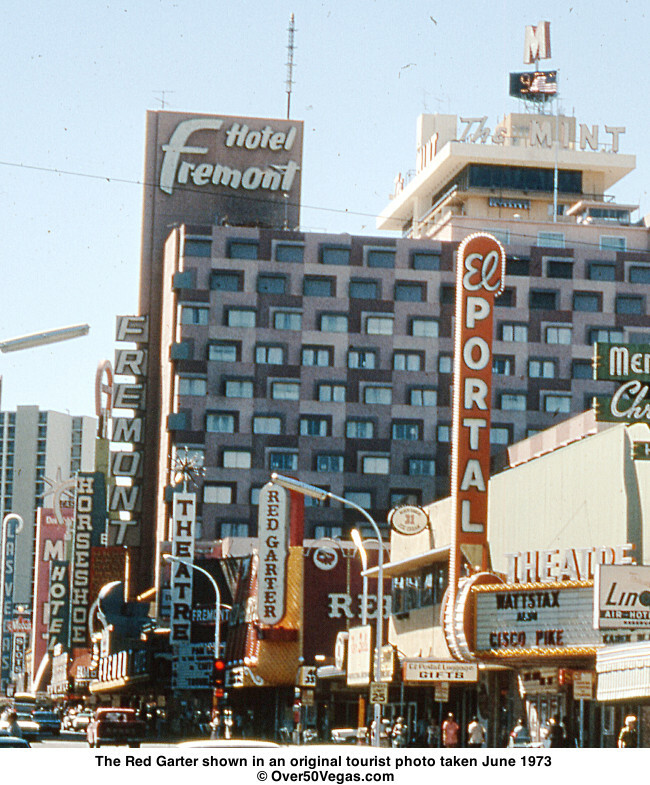 The building later became part of the Fremont Casino. 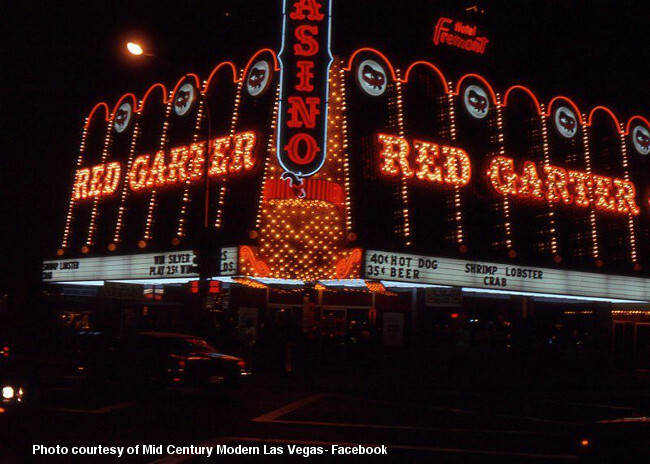 An article in the Nevada State Journal on February 18, 1972, shows that Anthony Antonacci is approved for 100% ownership and sole officer and director of the Red Carter Casino. 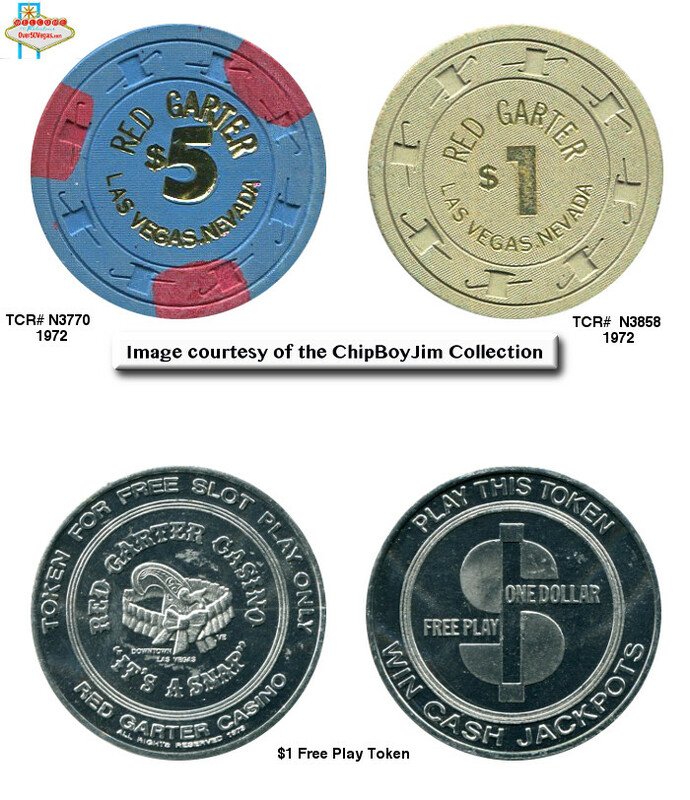 On March 15, 1973 Lonny P. Zarowitz was approved for a non-restrictive license as a partner according to an article in the Nevada Evening Gazette. 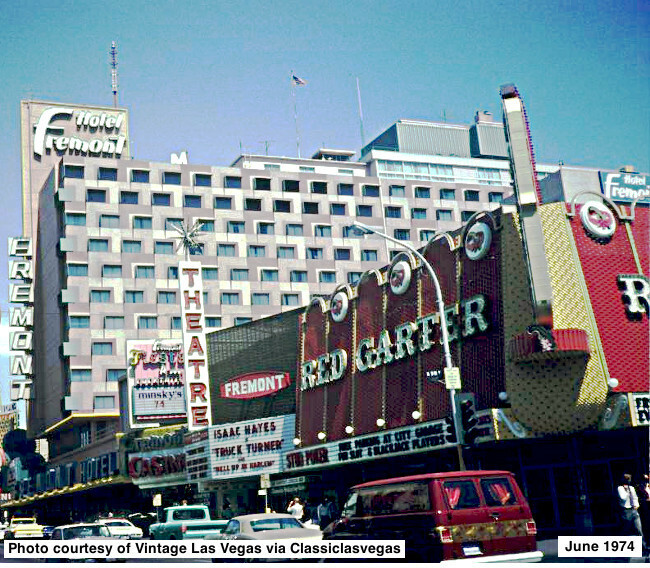 Look closely at the left edge of this photo and you'll see the Red Garter Casino nestled in amongst the other business on Fremont Street. If you'd like a little more information and some other photos of the El Portal Theatre shown in the middle of the photo, click here! 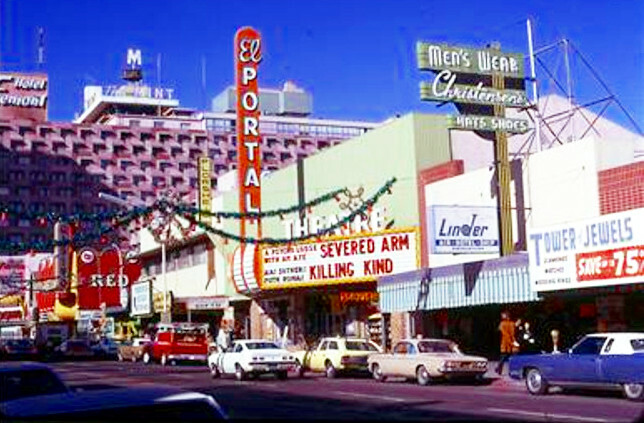 On the marquee for the Fremont Theater is Isaac Hayes in “Truck Turner” a movie from 1974 I bet you haven’t seen! Now I bet you’ll rent it!!! 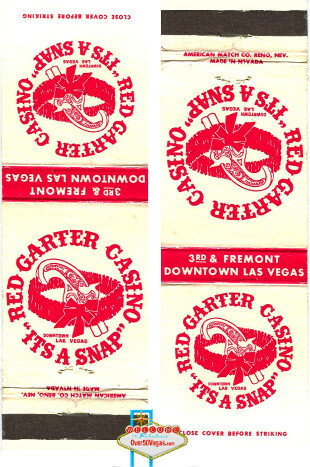 The Red Garter gave away a unique souvenir in the form of a ‘Red Garter”. 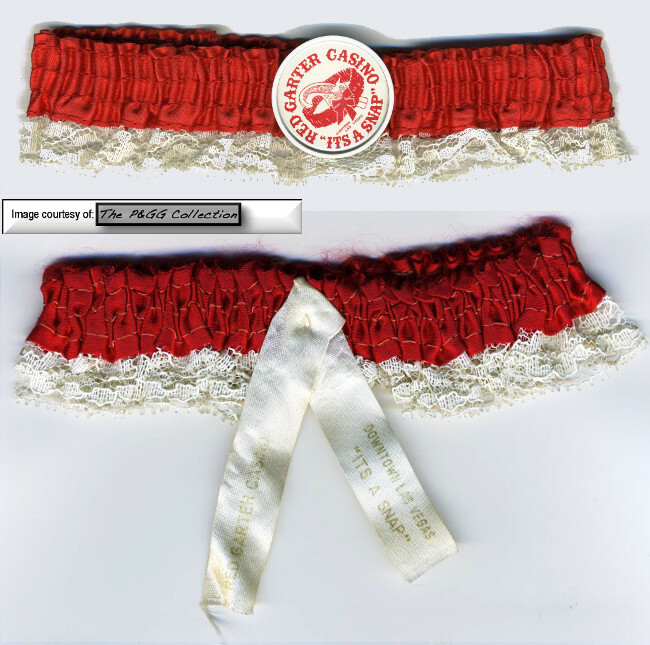 Actually two different red garters as shown in these two examples from the PGG Collection.